Performing Arts Summer schools and summer camps are run by your local drama or performing Arts school and offer dancing, acting and sometimes singing classes over a short period of either a few days or a couple of weeks. Other Summer Schools and Summer Camps offer musical Theatre courses sometimes culminating in a full musical production. 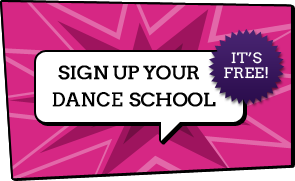 Summer Schools and Summer Camps are for all ages, drama classes and performing arts classes, singing classes and dance classes are all on offer. Some Summer Schools at Performing Arts Schools offer Summer School Holiday Workshops which are themed. Summer School Holidays can be a fun filled with the Summer camps offering Glee workshops or West End musical themed school holiday workshops. We have Summer schools listed which are perfect for children's activities and if you can't find a Summer School listed below go to our home page and use are dedicated holiday workshop feed. Looking for adult acting courses? Click on 'Adult Acting Courses'.